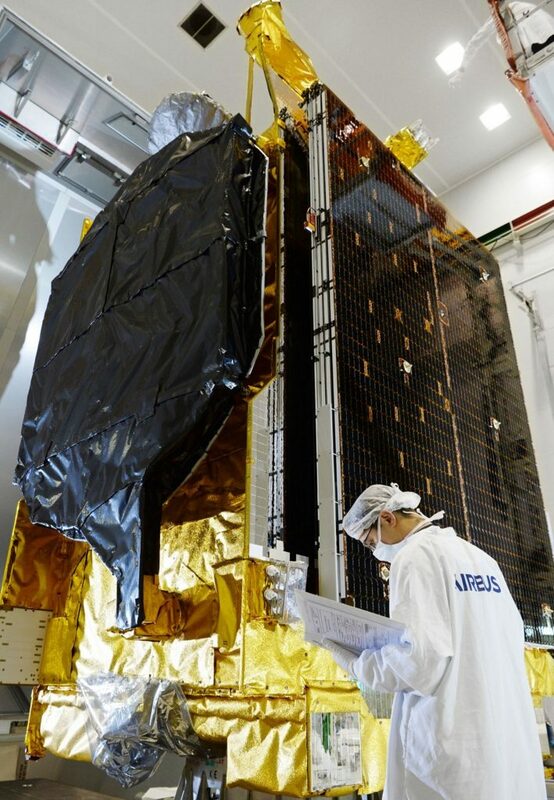 SES-11 is a commercial communications satellite built by Airbus Defence and Space for operation by Luxembourg-based SES to provide service over North America including Hawaii, Mexico and the Caribbean. 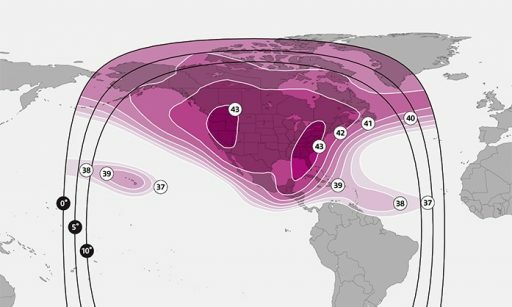 The satellite is also known as EchoStar 105 as the U.S. company has been an anchor customer for SES capacity over the Americas since 2006 and will be using most of the satellite’s capacity for media distribution. 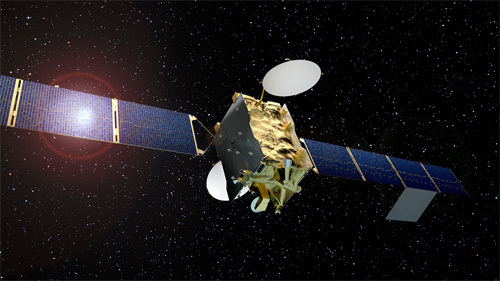 SES World Skies and EchoStar jointly ordered the satellite from Airbus Defence and Space in September 2014, employing the flight-proven Eurostar E3000 satellite platform that has been a popular choice for medium- to high-power satellites. The 5,200-Kilogram satellite has an end-of-life payload power budget of 12 Kilowatts and features a hybrid communications payload operating in C- and Ku-Band with Ku-Band capacity dedicated to EchoStar and C-Band in operation by SES under a dual-mission architecture designed to replace two aging satellites. It is the 47th E3000 satellite to be delivered by Airbus Defence and Space. 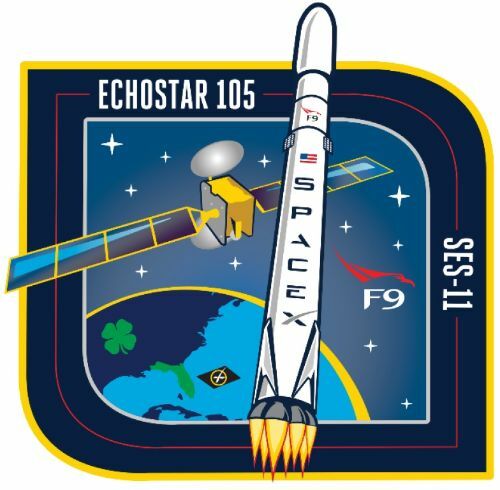 Destined for a position at 105 degrees West in Geostationary Orbit, SES-11/EchoStar 105 will be the direct replacement for the Lockheed-built AMC-15 satellite that launched in October 2004 on a Proton rocket and hosts 24 Ku- and 12 Ka-Band transponders for TV, radio and telecommunications services. The C-Band payload on SES 11 will be utilized to replace the all-C-Band AMC-18 satellite, also built by Lockheed and launched in December 2006, operating near 105° and providing broadcasting services for cable, television, radio and data distribution. SES-11 carries twenty-four 36 MHz Ku-Band transponders to be used by EchoStar to support the continued development of the U.S. orbital arc for media distribution and digital networking to the entire U.S. and Canada, Hawaii, Mexico and the Caribbean. EchoStar 105 has been tailored to meet the company’s enterprise and media broadcast requirements over all 50 U.S. states and is also available for U.S. government service. The C-Band payload comprises 24 transponders (36 MHz equivalent) that will be operated by SES and also cover the entire continental U.S., Canada, Mexico and the Caribbean for video and data distribution services. Constructed in Toulouse, France, SES 11 was initially planned for a Q4 2016 launch but ended up being delayed for a number of factors including SpaceX’s packed manifest and the half-year stand-down caused by the on-pad explosion of a Falcon 9 in September 2016. By August 2017, SES had decided to opt for a flight-proven Falcon 9 booster – becoming the first repeat customer for a re-use mission after flying SES-10 in March 2017 on the very first re-flight of a Falcon 9 rocket. 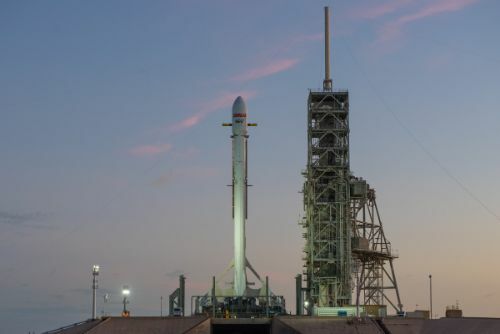 Airbus announced on September 20 that SES 11 had been flown from France to Cape Canaveral in preparation for an October 2017 liftoff using Falcon 9 Booster #1031 which first launched with the Dragon SpX-10 cargo spacecraft in February 2017. Built for a 15-year service life, SES 11 is joining the SES 1 and SES 3 satellites at the center of SES’s North American neighborhood from where the company reaches more than 100 million TV homes and empowers businesses to capture new opportunities. EchoStar agreed to lease the full Ku-Band payload on SES 11 for a minimum of ten years. The E3000 satellite platform is capable of hosting communications payloads with a total power exceeding 16,000 Watts. The spacecraft platform can support a high degree of customization to be able to support a variety of payloads including commercial communications and military payload packages. Eurostar-3000 made its first launch in 2004. Two deployable solar arrays are used for power generation featuring triple-junction Gallium-Arsenide solar cells. Power is stored in onboard batteries while a Power Conditioning and Distribution Unit regulates the satellite’s power bus and controls the state of charge of the batteries. 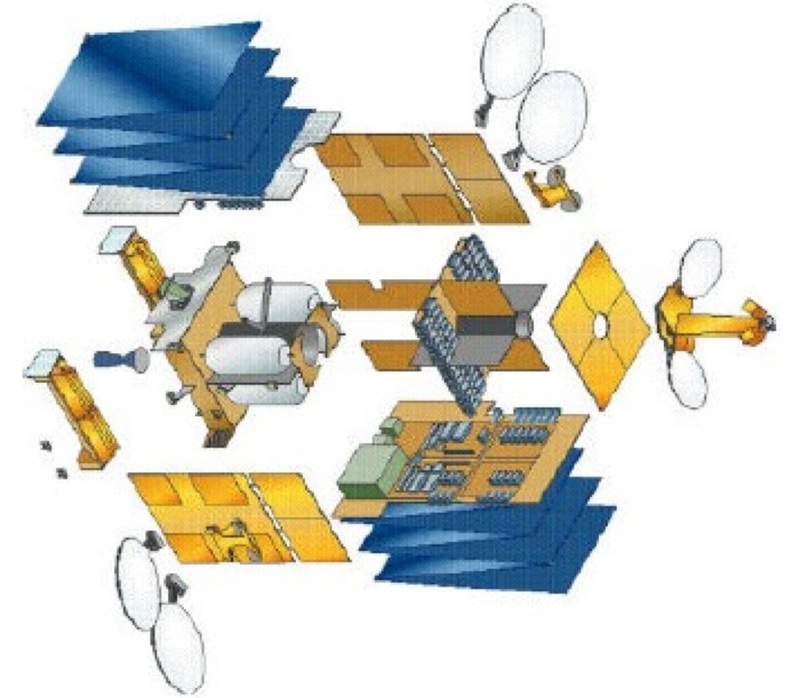 SES-10 will generate a total power of 13 Kilowatts at the end of its mission. A dedicated bi-propellant propulsion system will be used for apogee maneuvers and stationkeeping maneuvers in Geostationary Orbit, assisted by electric propulsion via Hall-effect thrusters provided by Airbus Safran Launchers. Eurostar-3000 is three-axis stabilized featuring a state of the art navigation system. The satellite provides precise Earth-pointing capabilities and stationkeeping accuracy is +/-0.05 degrees. E3000 provides the option of adding an electric propulsion system.